Hey everyone! 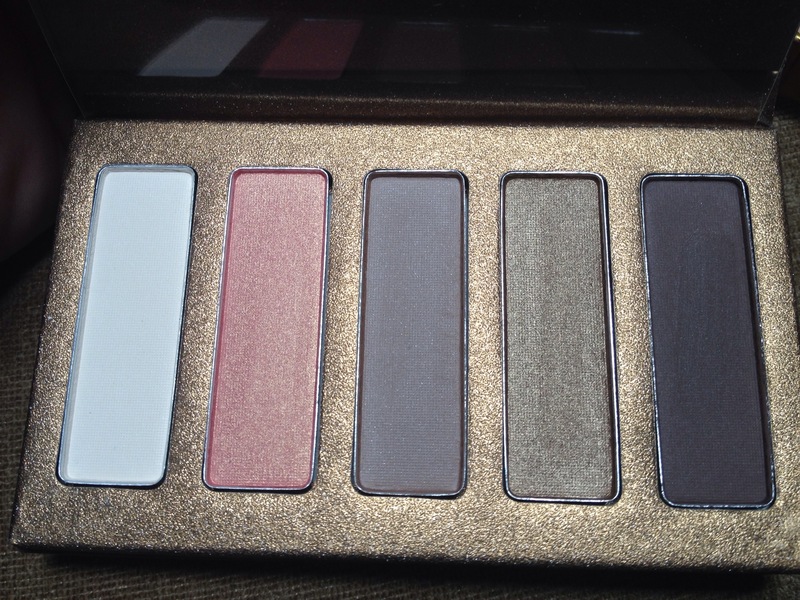 Today, I wanted to share an eye shadow palette I recently got from Hautelook.com. 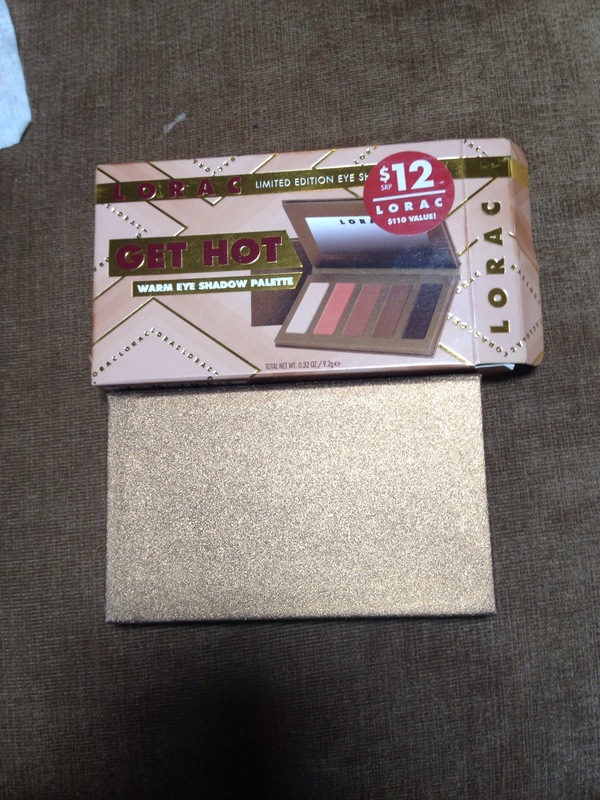 This is the Lorac Get Hot Warm Eye Shadow Palette. The sticker on the box makes it looks like it was once at Sephora. Sephora doesn’t carry Lorac anymore, so perhaps the things that didn’t sell got sent to Hautelook. The sticker says $12, which is what I paid at Hautelook. For a Lorac palette with five colors, I would say that is a good deal. It does say Limited Edition, but I have seen it on Hautelook twice, so you may still be able to find it around. I have only used this palette a couple of times but so far I love it! I was a little scared of the pink color at first, but it makes a really gorgeous all over lid color. There are both matte and shimmer finishes in this palette, I can’t give you the names because they are not listed anywhere on the packaging and I can’t seem to find them anywhere on the interwebs. From left to right there is a matte white, shimmery pink with gold sparkle (not chunky sparkle), matte taupe, shimmery bronze, and matte dark brown. 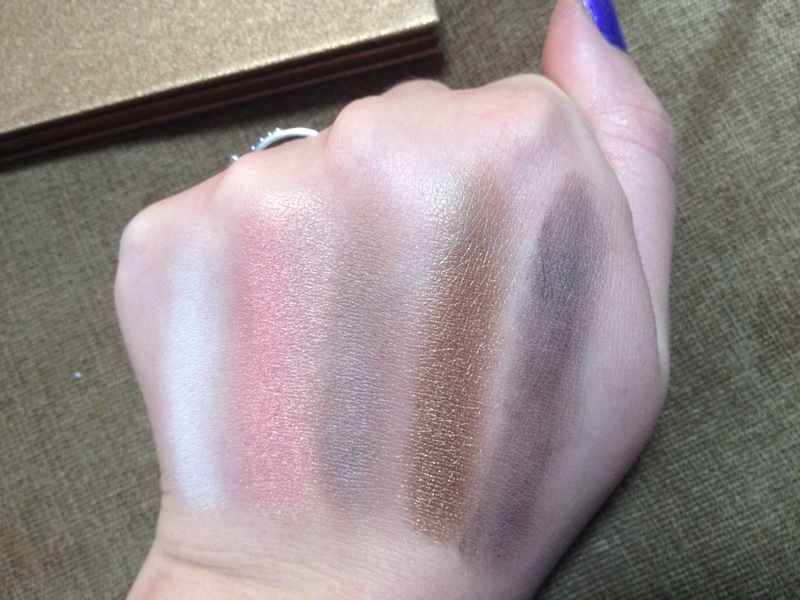 I love the feeling of these shadows; they are smooth, velvety, and highly pigmented.